Have you ever needed a map for teaching or for a class paper, but cannot find just the right map that you want on the web? Bible Mapper may be the answer to your problem. The accuracy of the data. The degree of customization possible. The wide area of coverage: from India and Uzbekistan in the east, to Portugal and Morocco in the west; from Great Britain in the north, to Ethiopia and Somalia in the south. The maps you create with Bible Mapper are copyright free and may be used in papers, lectures, websites, and publications. Create high resolution maps of Jerusalem (the Jerusalem Ordnance map of 1876 is also able to be overlaid on the terrain). Upload your custom objects or styles to a repository to share with other registered users, or restrict access to yourself for easy import into other maps. 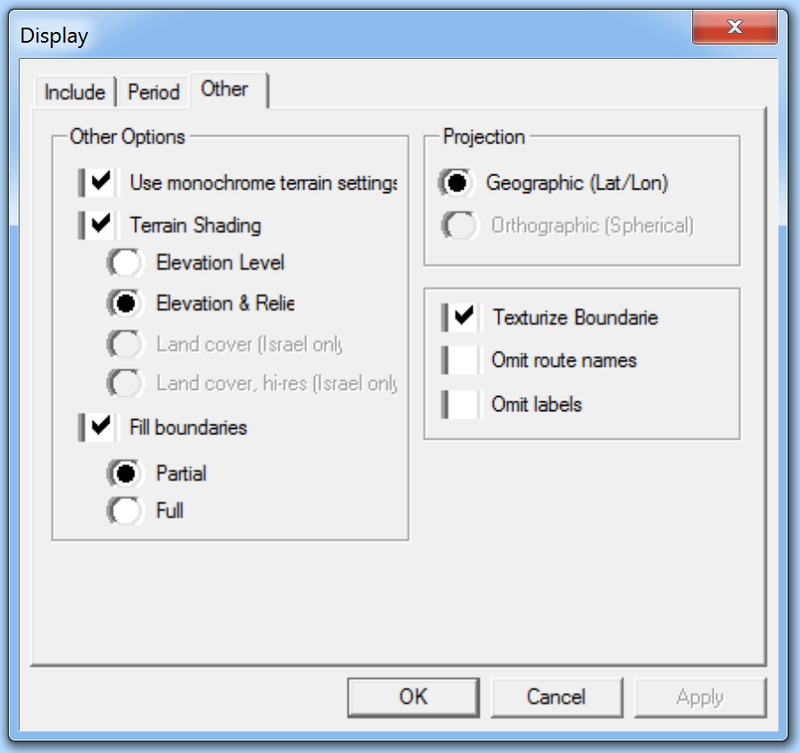 Import basic KMZ/KML data (points, lines, areas, etc.) 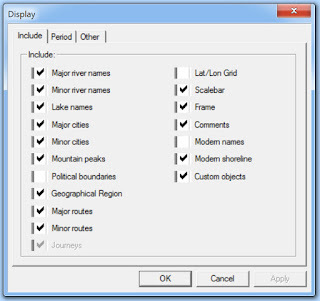 created by other software (e.g., Google Earth) and customize it on your map. I find that last feature to be especially convenient. For more information, visit the Bible Mapper website, read Mark Hoffman’s review, or read Todd's review of version 4 on this blog. 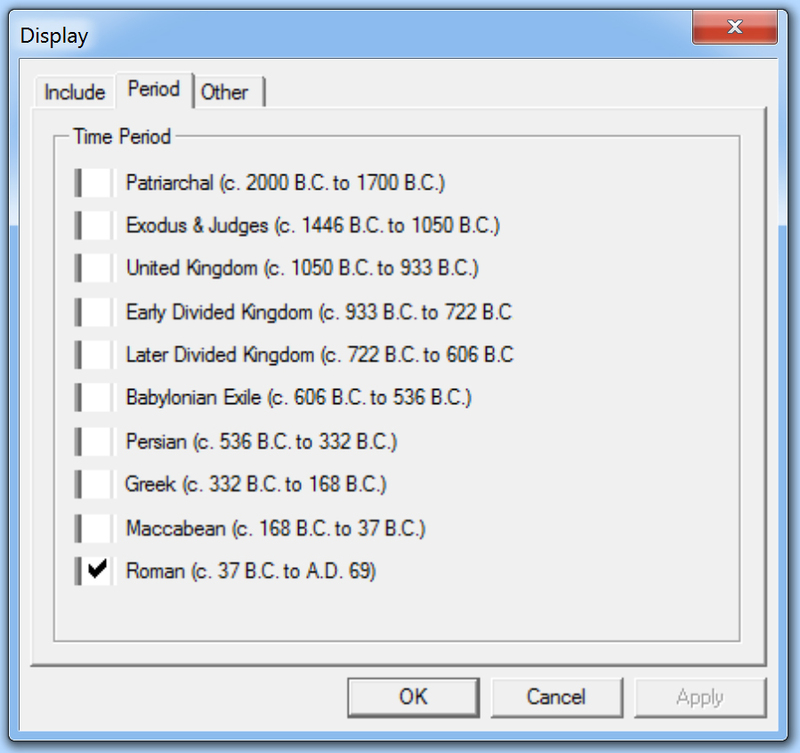 Bible Mapper may be downloaded for free. Most features of the program are available to unregistered users, so you can give it a try. 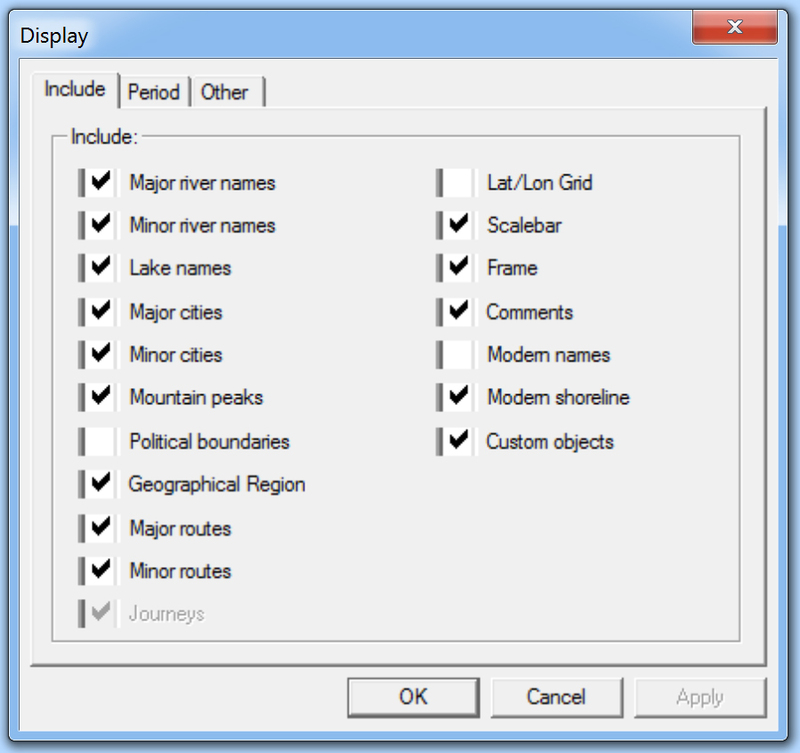 A registration key ($37) is required to use the program’s advanced features and to save maps that you create. When you open the program, Bible Mapper looks like this. 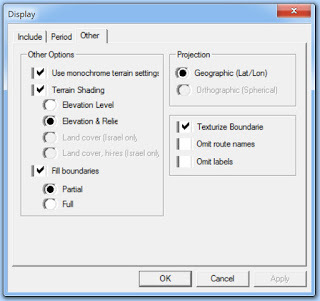 Bible Mapper allows you to choose between colorized terrain (above), or a monochrome appearance (below). 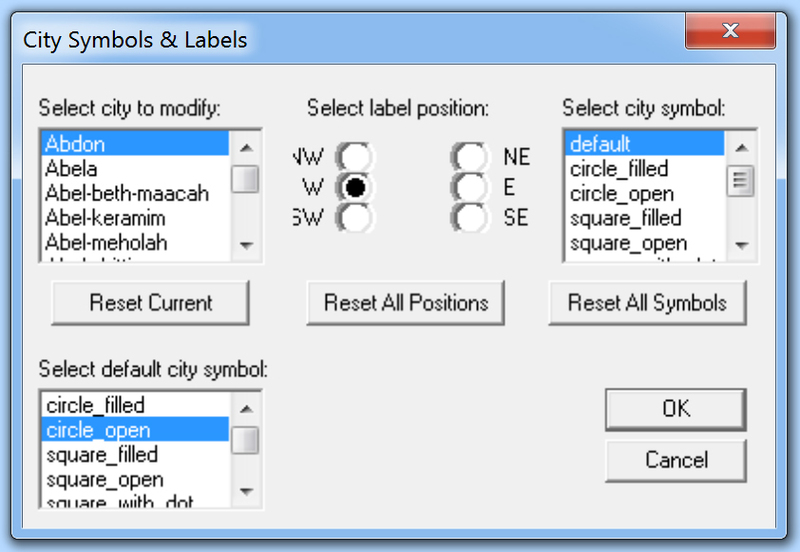 The "Tools" menu allows you to calculate distances between places, find a site, or obtain coordinates for a site. In my opinion, the real gold is the "View" menu. 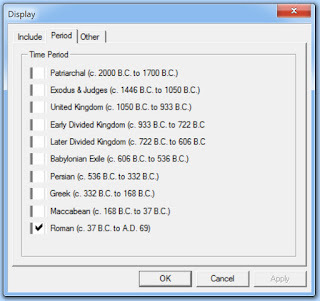 Here you can select what information is displayed: sites, roads, geographic features, or historical periods. Here are some of the options available. You can import your own sites, adjust the widths and colors of lines, and adjust the appearance of dots. 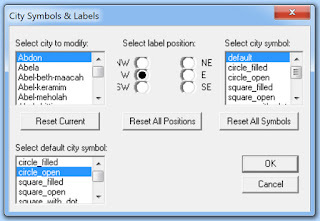 There are even options for repositioning labels. 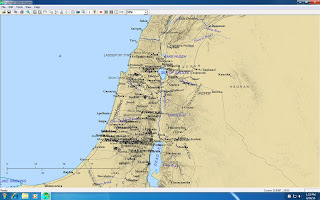 A number of sample maps can be viewed at the Bible Mapper website gallery. 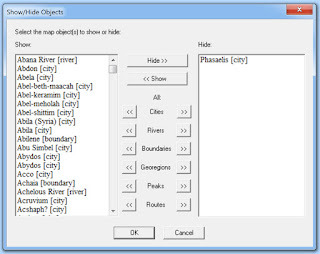 Bible Mapper is a Windows program. As a Mac user, I am able to use it by running Windows on a virtual machine (such as Parallels). One small issue I experienced was that Mac for some unknown reason appended .exe to the downloaded file. The file should be .msi, so Mac users may have to change the file extension manually before installing. 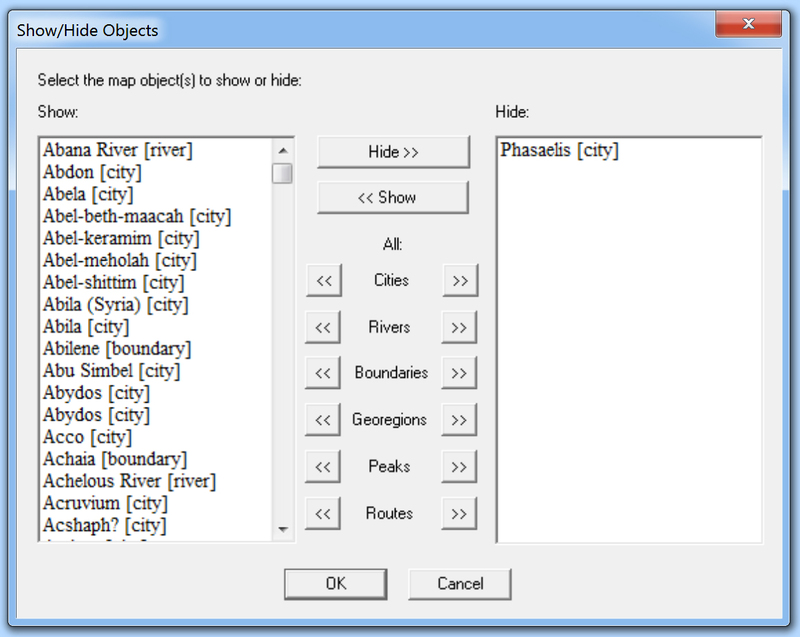 David Barrett also has created a Bible geography quiz just for fun.